Knowledge is central to our cooperation with MRO partners. 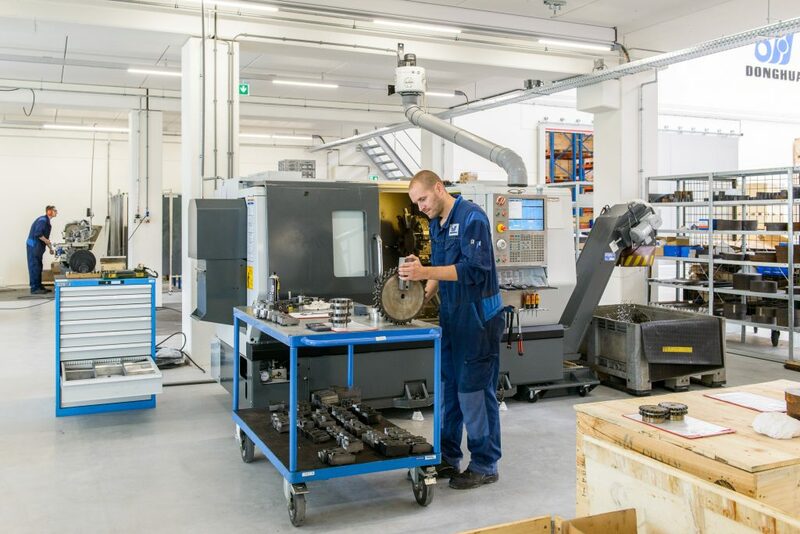 By means of training courses we keep their knowledge of chain systems up to date and in cooperation with our engineering department they can even supply customer- or application-specific, specialty products. This ensures that our MRO partners are usually the specialists in the field of chains and chain systems in their region. For end users, our exceptionally complete chain product range – 12,000 variants distributed across six series – is therefore only available through these partners selected by us. Because of our partnerships with leading OEM companies, Donghua has an extensive selection of so-called specialty products in stock. Combined with our mounting and assembly capacity, this enables our MRO partners to supply a very wide range of products from stock, naturally retaining our excellent price/performance ratio. Donghua is a global stockist with six warehouses in geographically and economically relevant areas. The international warehouse in Alkmaar serves EMEA; the factory warehouse in Hangzhou serves both Asia and Oceania and the US warehouse in Chicago serves the North and South American markets. The specialised warehouses in Germany, the United Kingdom and Thailand each serve the national market and customers in specific specialist markets. The network of MRO partners is served from these warehouses, which means that 90% of the catalogue is available from stock worldwide.